El martes 20 de febrero de 2018 , la Cátedra UNESCO tiene el placer de contar con Carlos Souza en la organización de la charla “Education Technology: Industry Trends”. Purpose of this talk is to review the key trends in education technology space. We will take a closer look at the main higher education technology platforms, how they are positioned, what they are striving for, and which are the drivers behind their success with learners. The material of the presentation is available in this link. Carlos Souza is the Managing Director of Udacity in Latin America, a new type of online university “built by Silicon Valley” that i) teaches the skills that industry employers need today, ii) delivers credentials endorsed by employers, and iii) educates at a fraction of the cost of traditional schools. With industry giants—Google, Facebook, IBM, Amazon, Mercedes-Benz, etc.— Udacity offers Nanodegree programs and credentials, designed so professionals become Artificial Intelligence Engineers, Data Scientists, Mobile Developers, Robotics Engineers, etc. Udacity students acquire real skills through a series of online courses and hands-on projects. Before joining Udacity, Carlos was CEO and Founder of Veduca, 1st MOOC provider in Latin America, with over +5,700 video-lectures from 21 of the best universities in the world. In 2013, Veduca received the TiE50 award in Silicon Valley as one of top 50 most innovative start-ups in the world. 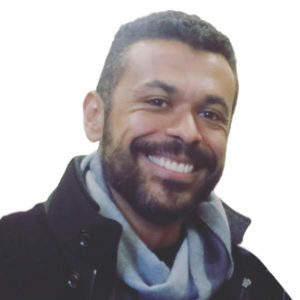 In 2012, Carloswas elected Sustainable Citizen of São Paulo. Carlos has 9 years of marketing experience at P&G. Prior to joining P&G, Carlos worked at CSFB Garantia. He holds a degree in Aeronautical Engineering from Technological Institute of Aeronautics (ITA).